This is a real “must see” in St Petersburg, the world famous museum which occupies 5 buildings and with the collection numbering more than 2000000 items. Famous Russian film director Alexander Sokurov called it “the Russian arc” because the museum buildings and the staff preserved the Russian history and survived through all its hardships like the siege of Leningrad and the Bolshevik revolution. 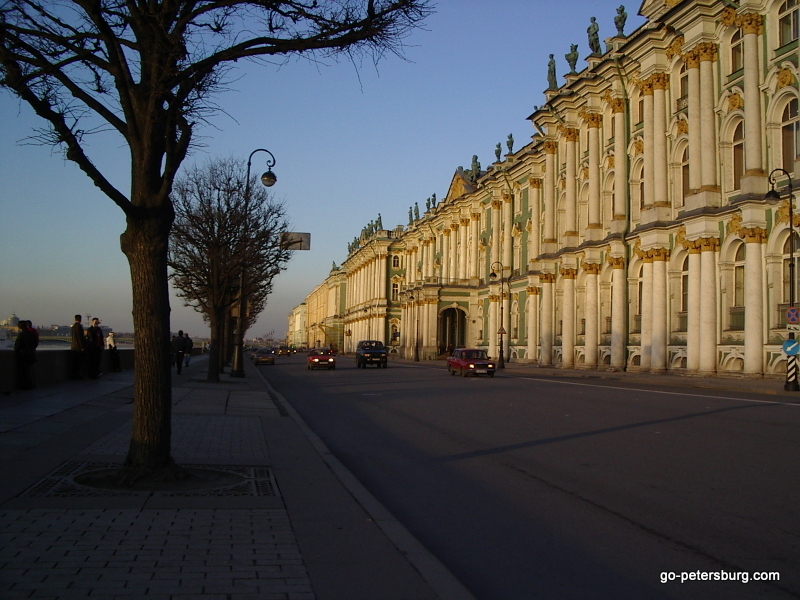 Collections of the Hermitage museum represent the whole history of culture of the humanity, from prehistoric times to French impressionists but the rooms keep the atmosphere of the age of Russian tsars and tzarinas. From the first glance visitors understand why Russia was called “empire” until 1917 and without any doubt you will agree that Russian tsars had not only money and power but also a perfect art taste! Visit to this museum can be a bit tiring because there is so much to take in. You can fully rely on me planning your tour as I will take you to all the brightest parts of the collections and I am always ready to adapt the tour to your own preferencies. The duration and rhythm of the tour are flexible and depend only on your wish. The tour includes walking, there is a lift inside the Hermitage museum but there are a few steps to enter the building.